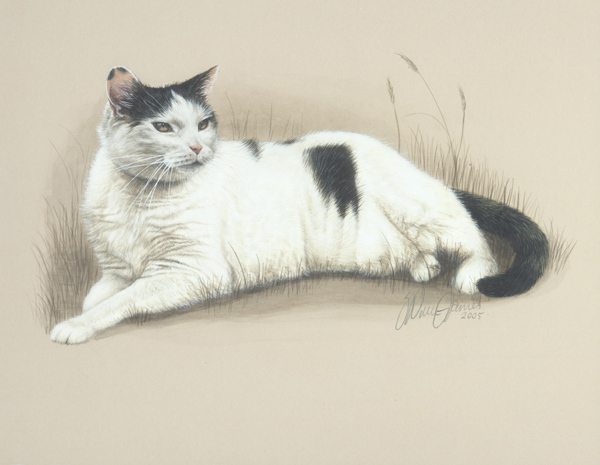 Sharon Price-James is an internationally recognized artist specializing in animal and pet portraiture. 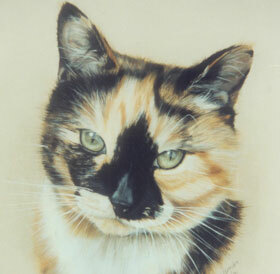 Sharon works in gouache watercolour on coloured art board that will compliment your pets natural markings. In 1997 Sharon won 'Artist of the Year' voted for by readers of 'Dogs Today' magazine, the premier publication dedicated to dogs. 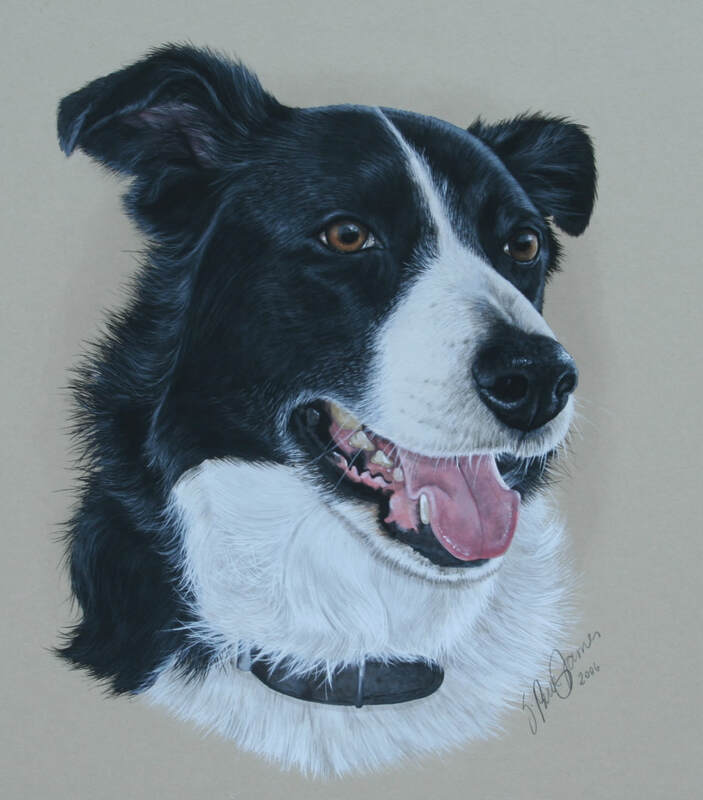 Sharon has received pet portrait commissions from all over the world and is now established as one of the UK's leading artists specializing in this field. Whether you are considering a portrait of a loved family pet, or would like to capture for eternity a special moment. Sharon has the experience necessary to make your vision become a reality. 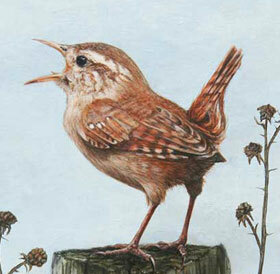 It is testament to the quality of her work that customers ask, whether her portraits are photographs or paintings. Sharon is proud to say, that unless a photograph has been included for comparison purposes (as you see below), all the images on this site have been painted by herself with a simple paintbrush. Sharon will normally work from a single photograph. 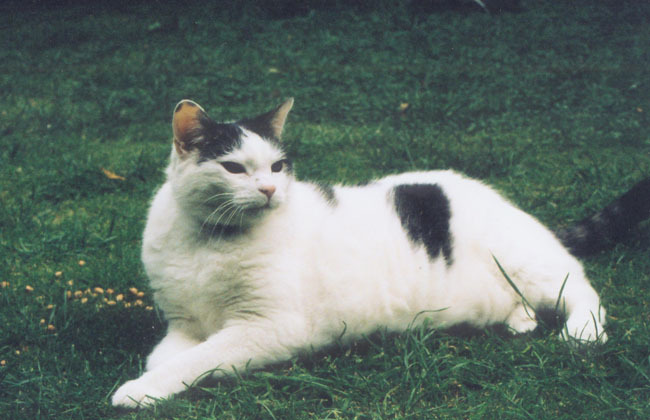 In order to portray your pet’s true personality, it is often helpful to Sharon to have additional photographs, which show your pet's character. Since beginning her career, Sharon has completed hundreds of portraits. Her catalogue of work is extensive. Indeed, there are few dog breeds that Sharon has not painted, from Alaskan Malamutes and Blood Hounds to Yorkshire Terriers. 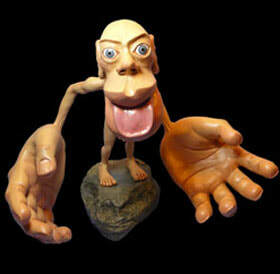 Sharon's talents extend beyond dogs, apinting many portaits of cats, horses and even a pet rat. A pet portrait makes a wonderful gift, but in our increasingly connected world, keeping that gift a secret is becoming ever more difficult. Over the years Sharon has become expert in clandestinely working with her customers, ensuring that contacts are sent to alternative accounts and even organizing delivery at specific times to an alternative address. Your Portrait will be delivered by Special Delivery and will need to be signed for. The cost of the 'special' delivery service is included within the price of the portrait, therefore, the price you see is the price you pay, delivered to your door.